Here’s some more of what I completed this weekend. I had a great response to the ribcage embroidery pendant I made and I have to say, she’s up there with my favorites too. The colour variations achieved on that one due to using a varigated silk thread were really pretty, so I wanted to try something a bit bolder, and go for a smoother finish. Clearly, he has the correct number of ribs this time. This hot purple was the most vibrant colour in my silks collection, and I love the boldness it has. 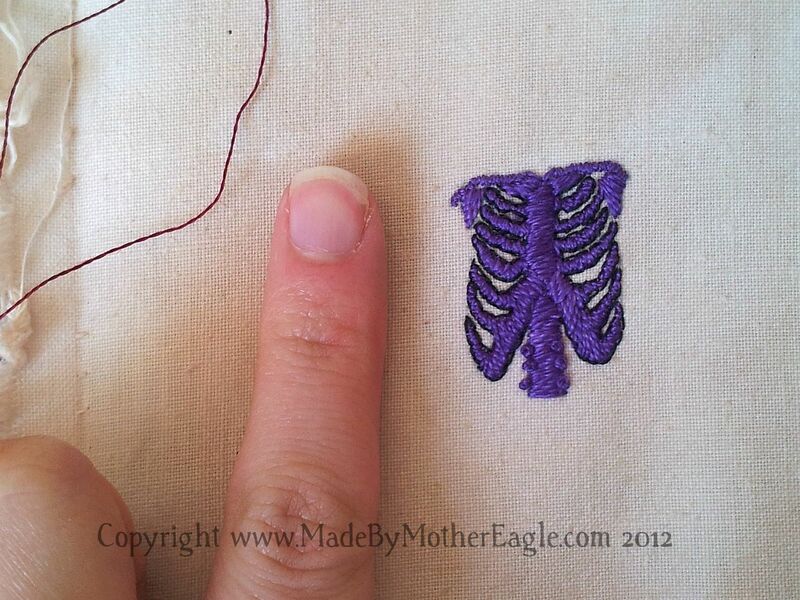 Once again, I backstitched round the ribs only to outline them and clean the edges, and used little french knots to represent the vertebrae spiny processes. Love purple;it’s my favourite colour. 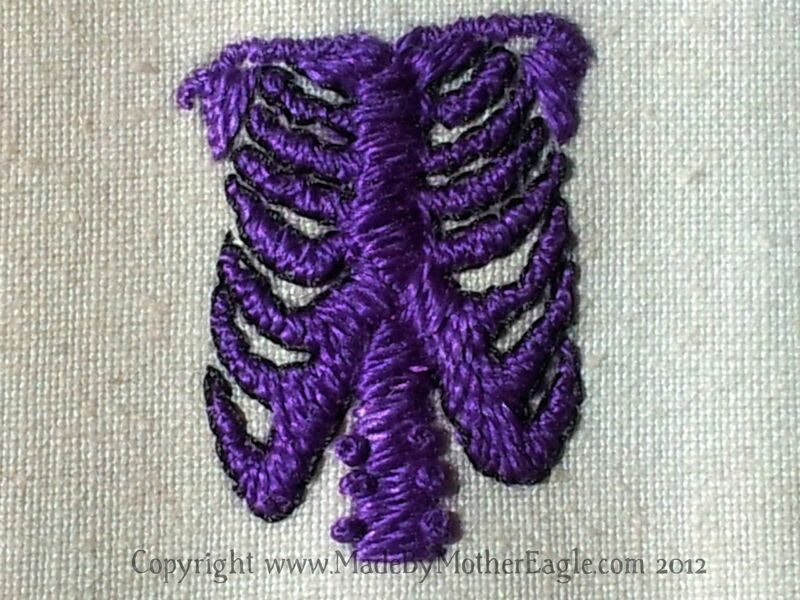 This ribcage fascinates me.